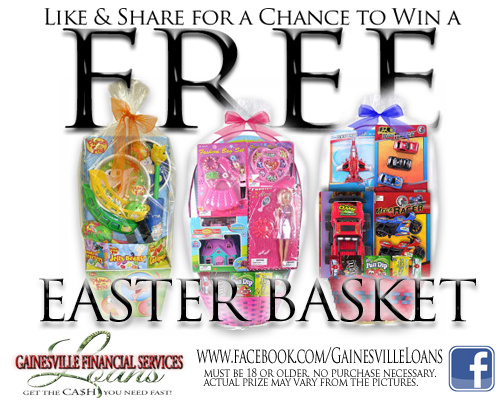 Want to win an Easter Basket… with candy, and prizes… for FREE?? Simply head over to our facebook, LIKE our page, LIKE our post, and SHARE our post. Then you’re entered to win. It’s that easy! Happy Easter! And don’t forget, we’re here to get you the cash you need… fast! « Is that Summer I See?